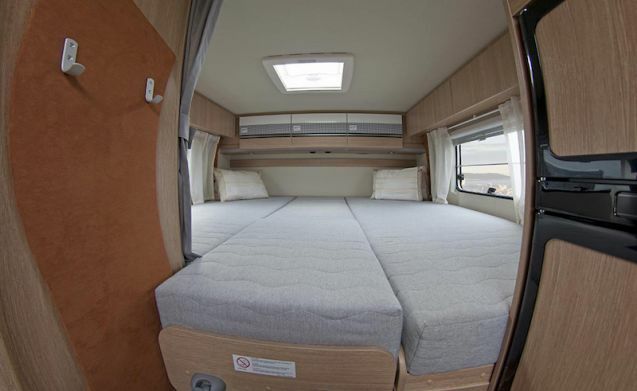 Luxurious, comfortable camper with 2-person fixed bed and 2-person pull-out bed! 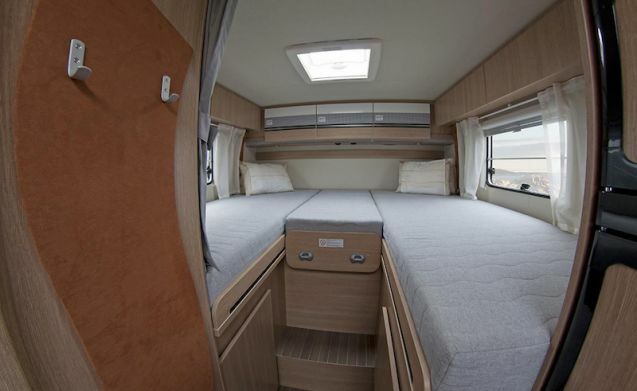 Very comfortable camper with a fixed 2-person height bed in the back plus a 2-person pull-down bed in the front. 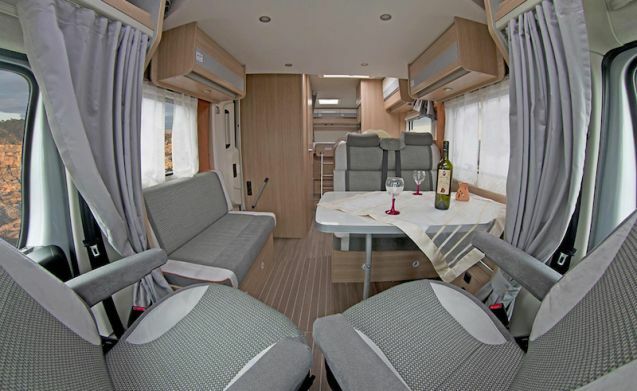 A generous 5-person seating group with extendable table top and rotating front seats. 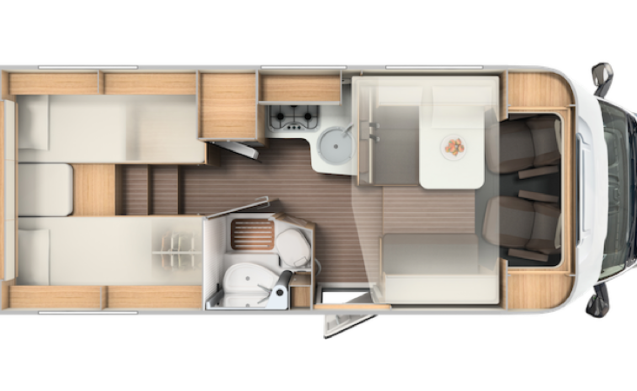 A practical L-kitchen with sufficient storage options and equipped with a 3-burner gas ring and a separate fridge-freezer combination. 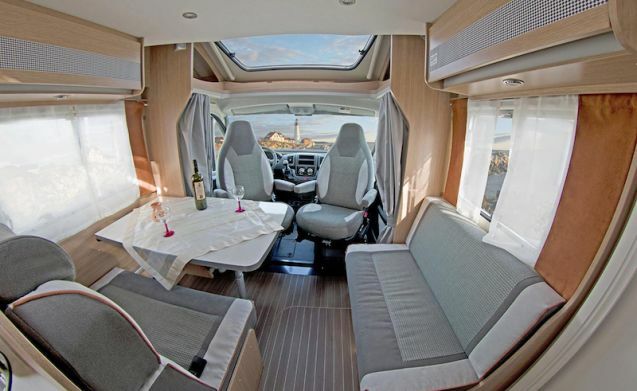 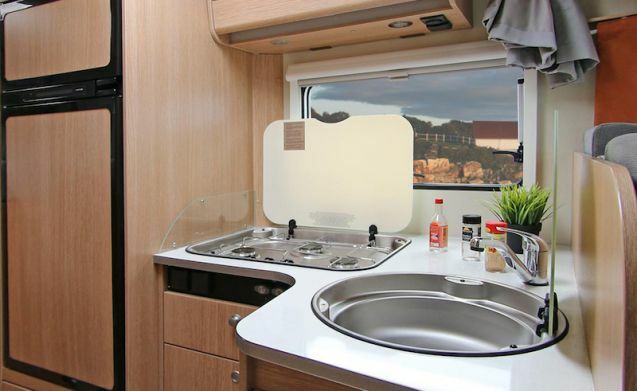 You will have a fantastic holiday with this luxurious and spacious 4-person camper! 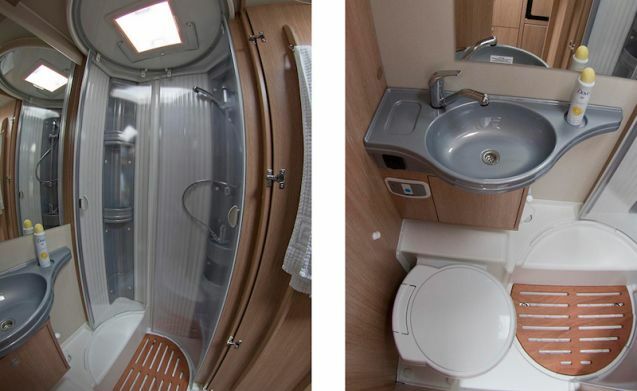 The camper has a stylish interior and is luxuriously equipped with an electric step, top-hung windows with roller screens and darkening all around, a spacious shower and toilet room with sink with mixer tap, ring heating, a hanging cupboard and sufficient storage compartments. 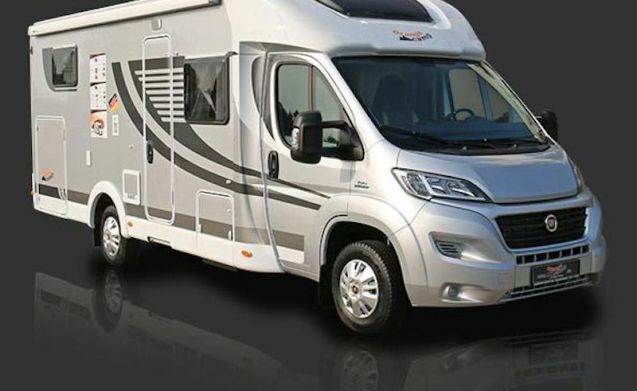 In addition, the camper is equipped with a 12v / 220v power supply, gas cylinder for cooking / fridge / heating, fresh water tank and waste water tank, radio / CD player, spacious garage and a canopy, bicycle rack for 4 bicycles and a reversing camera.